When President-elect Donald Trump took a swipe at the costly F-35 jet fighter, 146,000 American workers may have felt an ominous whoosh. That's what defense contractor Lockheed Martin estimates is the total number of jobs, both at the company and it's suppliers, that depend on the F-35 Joint Strike Fighter. 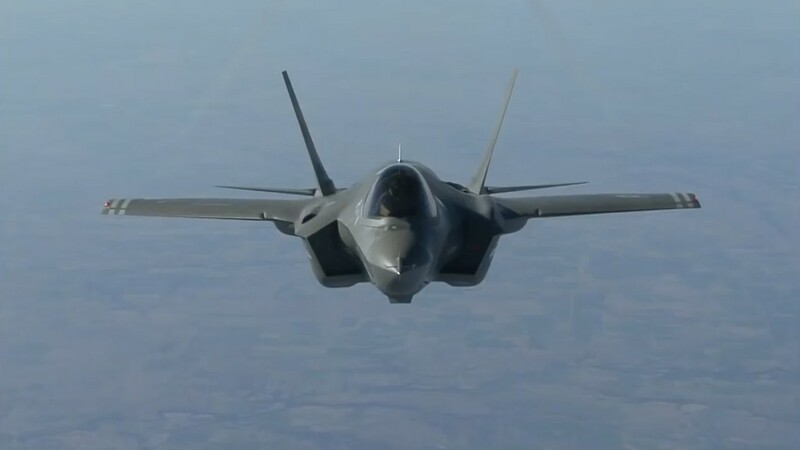 On Thursday Trump tweeted that due to the "tremendous cost and cost overruns of the Lockheed Martin F-35 I have asked Boeing to price-out a comparable" fighter jet to possibly replace the F-35. The F-35 is the most expensive weapons program at the Pentagon, with an estimated cost of $400 billion over the next 22 years. Lockheed has spread its supplier contracts to 1,200 locations in 45 states. Any effort to kill the plane would be sure to generate widespread outcry from members of Congress eager to protect jobs in their districts. Trump made saving U.S. jobs a major focus of his campaign and promises to do what it takes to protect endangered manufacturing jobs. He's trumpeted his recent deal to save jobs at a Carrier furnace plant in Indianapolis that had been scheduled to move to Mexico. The deal saved 800 jobs, although some Carrier jobs are still moving to Mexico. There are 24 states that Lockheed claims have more than 800 jobs depending on the continuation of the F-35 fighter. Texas with an estimated 39,000 F-35 related jobs, has the most. California is next on the list with about 22,000 jobs, followed by Florida with nearly 15,000. Trump's transition office did not respond to a request for comment on the job implications of his criticism of the Lockheed jet. Lockheed (LMT), which has 117,000 U.S. workers on its payroll as of a year ago, would be crippled if it lost the F-35 contract. There are few companies with more employees which have a greater concentration of jobs here in the United States. This is not the first time Trump has taken shots at a major U.S. job creator. Boeing: Trump might want Boeing (BA) to come up with a cheaper alternative of the F-35. But he's been critical of some plans at Boeing, most notably criticizing the estimated costs for two or more new Air Force One jets. He even tweeted, "Cancel order!" Like Lockheed, Boeing is overwhelmingly a U.S. employer, in addition to being the nation's largest exporter. It has 151,641 employees, with only a couple thousand outside the United States. Ford: Few employers received more criticism from Trump during the campaign than Ford Motor (F), which Trump wrongly accused of planning to move all its manufacturing to Mexico. While Ford is investing in new plants in Mexico and plans to shift its small car production there, it hasn't cut any U.S. jobs, and its U.S. workers will be building other more profitable vehicles. Ford points out that over the last five years it has increased U.S. employment by nearly 50% to 85,000, partly by bringing some work back from foreign suppliers. Few old line manufacturers have increased U.S. employment to that degree. Amazon: One of the largest creators of U.S jobs in the last decade has been online retailer Amazon (AMZN), which has created nearly 200,000 jobs in the U.S. since 2009. In addition it has opened the door for thousands of more merchants to sell their products online. Trump repeatedly attacked Amazon and its founder and CEO Jeff Bezos during the campaign, vowing, "If I become president, oh do they have problems. They're going to have such problems." Bezos owns the Washington Post, which was frequently critical of Trump during the campaign. Trump falsely accused Bezos of using the Post as a tax shelter for Amazon profits, accused the online retailer of not paying its fair share of taxes and said it was violating anti-trust laws, even though Amazon does not control anywhere near a majority of online sales as Trump claimed.